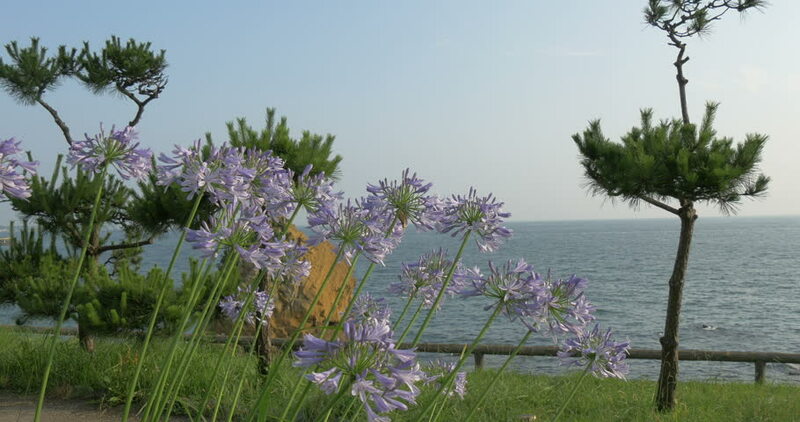 Flowers and leaves dancing comfortably to the summer breeze by the ocean. hd00:09Sedge ( Cyperaceae ) in water. 4k00:15120 fps slow motion of cowtails in Branford Connecticut. 4k00:12Timelapse cloudy raining weather over the rice paddy field beside the coconut farm at Penang, Southeast Asia.